Just a couple of small chess things to share in this post. It's such a beautiful day outside you know, and in London you're never sure when the next one of those will come along. First off: Alexey sends news of how to beat Fritz right out of the opening, via Chess Maniac: 1. e4 c5 2. f4 d5 3. Nf3 dxe4 4. Ng5 Nf6 5. Bc4 Bg4 6. Qxg4!! You'll have to work out the rest for yourself - and this time using Fritz won't help, of course. If only Kramnik had known . . . The BCM blog brings news of a rather unusual new venue for chess: The Vortex Jazz (and Blues) Club in Hackney. They're running "Chess Sessions" from 4-6pm on the Sundays of this April, starting tomorrow: "bring your own chess sets . . . Play who you want when you want! Player with most consecutive wins over the five afternoons scoops the trophy!" And promisingly: "Daniel King, chess grandmaster, games consultant, television presenter, freelance journalist and an award-winning author, will be at the April 1 gig. On 29 April he will be playing against 10 opponents simultaneously." Although, there's no mention of how to sign up for the simul . . .
Gentlemen, us? But I want to be a chess thug . . .
Just to note that Jonathan's piece recording the one-time residence of world championship contender Isidoro Gunsberg has been added as a link in the Where Did They Live? section of Edward Winter's Chess History site. Like Streatham and Brixton Chess Club, perhaps: a small footnote in chess history, but a worthy one. One of my favourite chess books is the late Ludek Pachman's Decisive Games in Chess History, which might be a classic collection but is certainly not a collection of classics. It takes the reader through a number of games played at the end of top grandmaster tournaments: blunders and misjudgements abound as the pressure overcomes even the greatest and most experienced professionals in the field. The pleasure of the book is not in seeing that the best players can play badly. It's in seeing games that, by and large, we have not seen before, and in seeing real chess - chess that is more typical of normal tournament play than the classics with which we were entertained when we first started reading chess books. I most certainly formed the impression, when I was young, that Botvinnik and Capablanca played a flawless masterpiece just about every time they sat down at the board. It wasn't like that, of course - human players possess human weaknesses. Among those weaknesses is the tendency to lose one's composure, self-confidence and to some degree one's capabilities, when the pressure is on. Last Saturday was a pressure match. The last of the nine rounds that comprise the Team Championship of Aragón. There are thirty-two teams in the top division, the Autonómico: at the end of the season, if I properly understand the rules, the bottom three are relegated to the provincial divisions while the teams that come between 24th and 29th are obliged to face play-off matches against the best-performing teams from those divisions. Confusingly, to the inexperienced English ear, surviving such a match is known as promoción. Finishing above them consitutes la permanencía. My team, Casino Jaque, had occupied one of those relegation spots with two rounds to go, following a disastrous defeat to the bottom team in round seven. We won in round eight but were still no higher than 26th. However, with a touch of the luck we had enjoyed in the previous round, when an opponent's mobile went off, we were drawn for the final round against a team rated, and performing, slightly below us. To win the match should mean la permanencía: to draw it, a probable play-off, while a loss might well mean relegation. In such circumstances I have rarely played well, though my worst performances take place when I have already played several rounds in a weekend and my capacity to deal with my nerves exhausted. In crucial team matches I have often played rather better, or at least held my nerve more successfully. So it was last Saturday. I did not play well. I do not yet know how badly I played, since my PC crashed last week and Rykba is, as yet, not reinstalled. But I know I played badly. Not so badly at the start, though probably not so well as I thought at the time (since the advantage I thought I had acquired was certainly smaller than the advantage I actually had). But extremely badly for about ten moves, during which period I insisted on improving the position of all of his pieces while disabling both my pieces and my pawn structure. So I won. And we won. And - though the league took several tortured days to tell us so - we finished 22nd, achieving la permanencía by virtue of the Sum of Progressive Scores, which is not normally a friendly system when you've had to win the last two rounds. We finished two places above the zona de promoción - and four above our Huesca rivals. Not so bad for a team that was seeded 28th. I'll say this for myself - although I played badly, I did not lose my nerve. Gerald Abrahams wrote that games are won not by good positions, but by good moves. But it's my belief that at club level, far more games are lost by bad moves than won by good ones. And although I played a lot of bad moves, I understood, just in time, that that was happening and concentrated on trying not to lose. What is chess? Like I said, it's a struggle. And in a struggle, games are won not by good moves so much as by good nerves. There are, it seems to me, a million and one reasons to oppose Chess on TV. 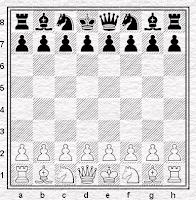 Firstly, chess is just so much more suitable for the internet, it's almost as if the internet was invented for chess. Want a game, fast or slow? Easy. Puzzles? No problem. Expert advice? Yep, one click away. Want to chat, kibitz, analyze, spectate top games? Any time! Anyone. TV, it seems to me, is rather more limited in its options. Secondly, of course, Chess on TV might make the game more popular, and that'd mean more competition. I don't know about you, but that's the last thing I want. And now, I have reason number million and two. The new reason is, in fact, this video recording of Chess on TV. My eyes popped out within the first few minutes, when I spotted the initial position they set up on the board. But it was the screech about 11 minutes in that burst my ear drums. Highlights in passing include phone-in questions such as: "Do you know Robert De Niro? ", "I gotta rook. 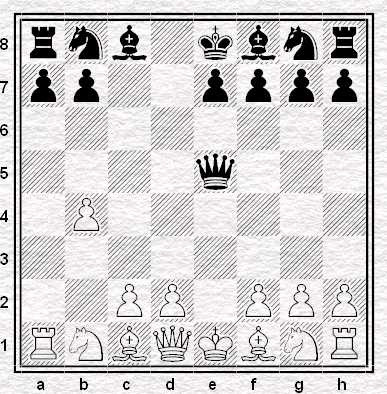 And a pawn," - that was it - and, "If I get my king to the other side of the board, do I win?" Chess. It makes you laugh. It makes you cry. But please, keep it off TV. Recently I’ve been looking at very good players losing very quickly (see Justin’s article on Anand’s six move defeat, another six mover from a century earlier, Gibaud’s dubious four move loss, Shirazi’s five move catastrophe, and a Spanish IM’s 3 move wonder). While researching these games I made good use of Mike Fox and Richard James’ The Complete Chess Addict (original 1987 edition) and ChessBase’s Big Database 2003. I found a couple of interesting discrepancies between these sources and I’d really like some help to clear them up. 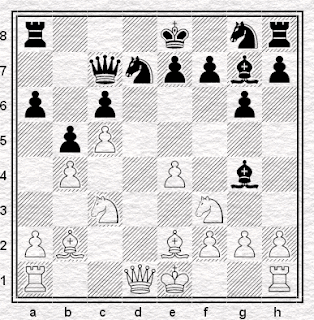 Now it’s quite possible that the ever erratic Chigorin, the patron saint of chess players, could lose like this. It’s just that ChessBase say he didn’t throw in the towel on move 8 but struggled on another dozen moves. ChessBase, by the way, also reckon it was 1902 not 1903. Now F&J make no claims about this game but if it really did end at move 10 this must be a contender for shortest ever loss by a World Champion. Again, though, ChessBase says it wasn’t so. They don't have Spassky resigning until move 24. Another minor discrepancy is that CB have Spassky’s third and fourth moves the other way around. So can anybody help me sort this out? Today, as you can see from the diagram, we’re back in the land of brevity. The game is from the Folkestone Olympiad of 1933. Our man playing the White pieces is Robert Combe who, according to Fox and James in The Complete Chess Addict, went on to become British Champion. I can’t tell you what year he won the title though. Does anybody know? Unfortunately, I’m not sure we can accept it as a legitimate entry for the Briefest Decisive Game Between Masters award. Yes it’s shorter than the efforts of Anand, Alapin and Shirazi. Yes, unlike Gibaud – Lazard, it definitely happened. The trouble is I don’t know anything about his opponent other than his name was Hasenfuss and he represented Latvia. Happily, whether or not Hasenfuss was of Master strength, there’s an even shorter effort available. I’ve known about this game since I bought TCCA twenty years ago. I’ve even tried to trap Dave V like this many times in blitz games but, sadly, he never takes the bait. I wasn’t going to mention it here because there’s nothing to suggest Djordjevic and Kovacevic were Masters. CB Big Database says the event was an open tournament and doesn’t indicate the players’ strenghs so I think it’s safe to assume they were unrated. However, last night I picked up an old Chess magazine at random (January 2002) and leafing through it I came across Fox and James’ “Addicts’ Corner” column. Amazingly they say this precise game also occurred in IM Vasallo (2454) – IM Gamundi, from the Spanish Team Championship in 1998. I can’t imagine there’s a shorter decisive game between Masters out there but I’ve got one reservation. CB Big Database 2003 has hundreds of games attributed to both Vasallo and Gamundi but not this one. Can anybody confirm it definitely happened? If so we can let Mauricio Vasallo enjoy the richly deserved glory of his small niche in chess history. Every one's doing it, big time apparently. It's even the core business for some. Chess videos. Are they the future? Personally, I can't think of anything worse than listening to me talk about chess. Except, perhaps, watching me talk about chess. On the other hand, they certainly offer something different. In this cute and funny one, for instance, we learn God plays the Scandanavian Defence - and that He lets you play two moves in a row, as well. What would you do if you won the lottery? I'd have all those who ever annoyed me hunted down and shot - and then if there was any money left over, I'd save the Pandas. A single piece weighing in at 165.2 grams? That's a bag of sugar and a half - and you could never use that for blitz. Because, argues the Kenilworthian, our losses constantly remind us of our lack of knowledge about the game, and this then causes us pain or at least curiosity - and so we come back to the game again and again to learn more. And of course, the more we learn, the more we know how ignorant we truly are, and so the cycle of knowledge, knowledge-gaps, pain, curiosity, learning, knowledge!, knowledge gaps repeats and repeats. On the other hand, the comments here suggest various other interesting reasons. And I'm not sure I can apply all this to myself very convincingly. I started playing socially as a kid after school for fun, and by around my teens began to appreciate the game sufficiently for its own sake - as a thing of beauty, drama and excitement. No doubt curiosity and competitiveness were there too. But when answering the question "Why do I play chess?" I am more likely to formulate some watered down version of Hans Ree's explanation: "Chess is beautiful enough to waste your life for." Ree isn't the only chess player to stress this side of the game of course. "If you have never seen this study before and fail to find it exciting," wrote Levitt and Friedgood about the study by V Korolkov on the left for instance (1st Prize, Lelo 1951, white to play and win, click to enlarge) "our only advice is to give up the game straight away. You will have no future in chess!" Life is full of questions and attempts at answers and then more questions. But only one more for this post. Why do you play chess? "Gibaud – Lazard, Paris 1924"
Well, after last night's game I'm still very much in the slough of despond. I've adjourned with a double rook ending and a draw offer. 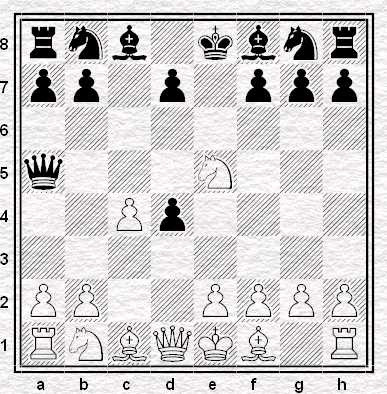 I'm tempted to play on, but in truth it seems my best chance for a win is if my opponent has sealed an illegal move. So it looks like an underachieving draw which I suppose is better than underachieving defeats which has been my speciality of late. It's probably no wins in seven for me now but at least I've avoided doing a Shirazi. Back, then, to the tragic losses of my supposed betters for a bit of encouragement. It must have been around 30 years ago that I first heard of today's game. I've always seen it quoted as the fastest ever loss by a master but my interest in brevities sparked by Justin’s original article and this follow up, I discovered questions have been raised as to whether or not the game actually happened as quoted. I was going to ask if anybody knew anything more but Justin pointed me in the direction of Tim Krabbe's website which clears everything up very comprehensively. 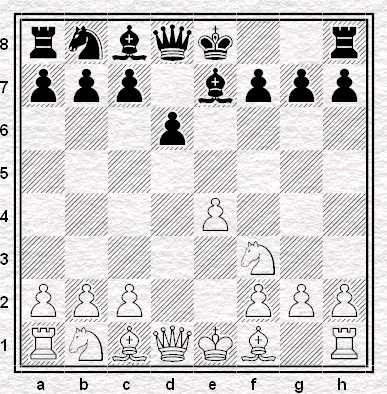 The player of the white pieces wasn't Gibaud, the game wasn't played in 1924 and it wasn't four moves long. Other than that, the traditional sources had it pretty much right! His opponent was graded 165 BCF (that’s approximately 1920 elo) at the time! Team Updates - Mixed News . 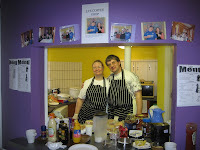 . .
A mixed bag of news this time around for Streatham & Brixton Chess Club. Whilst we comfortably beat Crystal Palace in the Surrey League 6-2 - after, that is, they defaulted three boards - Wallington knocked us out of the Lauder Trophy 4-2, although at least one of those points was a thumping win from Richard, that you can click play through. In the middle, the Croydon League match away to Crystal Palace on Monday 5th March is poised 1½ each - but Adam FF's adjudication looks more than likely to go in our favour. Meanwhile, the second team's fine run in London League Division 3 has, alas, recently stumbled. Twice in fact. We lost two matches in a row; one against Metropolitan 2 via the outstanding adjournments, the other against Metropolitan 3. Promotion looks like it'll have to put on hold, for this season at least. Things continue to go well for our First Team in Division 1 however. Whilst Angus wasn't able to squeeze the full point from his slightly advantageous adjournment - meaning we lost the match versus Kings Head I 6½-5½ - Susan won her queen endgame leftover from the match against Athenauem, a fine technical achievement, rounding that one off 8-4 to us. Equally impressively, last Thursday saw a weakened version of our first team crush Dulwich 8-3, with Andrew's tricky game adjourned. I say weakened - but perhaps not that much so, since despite several absentees we were happy to welcome Eddie Dearing to our side, where on board 1 in his club debut he solidly drew against Jovanka Houska. Also from that match, Adam FF won an impressive game - full of accurate, detailed and subtle calculation - against the talented junior Callum Kilpatrick, the complications in which began with a nice opening nuance in the diagram position. 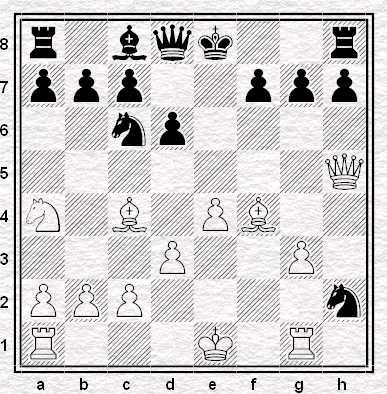 How can white to play best deal with the dual threats of the tactical 15...Bxh3 and the awkward 15...Bf6? Finally, if that's got you in the mood for some chess, then you might be curious to know this year’s Trost Trophy will be held at Crystal Palace Chess Club on Monday 26th March from 7.45pm. This is a ten-second ‘buzzer’ tournament comprising six rounds – entry costs £2 and first prize is £30. Contact David Hodgson for more details and to book your place. Let me warn you from the off - I'm in a grumpy mood. Last night I lost again. I've now come a distant second in three of my last four games - and I've not won in six. Things are getting so bad that the point I "gained" by default against Crystal Palace last week looks like being one of my best results of the year. There's only one thing for it at times like this - pray to the Patron Saint of Chess Players then seek solace and amusement in the misfortunes of others. A couple of days ago I mentioned Tarrasch – Alapin (1-0, 6) in response to Justin’s article on Anand’s six move blow out at Biel in 1988. As I said in my original post, Cafferty and Hooper wrote “As a curiosity it [Tarrasch - Alapin :JB] may be quoted as the shortest decisive tournament game between masters”. C&H were writing in 1979 and since then the chess master fraternity have evidently been burning the midnight oil looking for improvements on Alapin’s play. In case you were thinking Shirazi is just some patzer, I’m pleased to tell you he’s an IM and was rated 2465 at the time (according to CB’s Big Database 2003). Even more amusing, he managed to end the tournament with the rather wonderful score of 0.5/15. His game with Peters (2500 in 1984) was played in round 13. It’s probably safe to assume he was rather demoralised by then! I'm back in the ring tomorrow night playing for the second team in the London League. I'll travel to Golden Lane happy in the knowledge that, if nothing else, at least I've someway to go before I translate my 0.5/4 into Shirazi's sterling result. On Saturday I had an experience, playing chess, that I never wanted to have - but one which I knew I was bound to have sooner or later. It didn't involve my losing disastrously. It didn't involve losing at all. It didn't involve missing a win and having to settle for a draw. The result wasn't the problem - in point of fact I actually won the game, and I won it quickly. That was, in its way, the problem. Winning in the way I did involved my being put in a position where - for reasons entirely beyond my control - there was no way of doing the right thing. I won the game: but other than that, I couldn't win. 1.e4 e5 2.Nf3 Nc6 3.d4 exd4 4.Bc4 Nf6 5.Ng5!? This was the first and only point in the game at which I paused to think. I decided to play 5...Ne5 (which, as it happens, is possibly weaker than 5...d5) but just as I reached out to move the knight, my opponent's mobile phone went off. This, as I understand it, means the automatic loss of the game. Not knowing the Spanish word for "claim" I said "es la partida" ("it's the game"). My opponent looked to his captain, who, though I couldn't follow precisely what he was saying, told his player that this was indeed the case. Mr Gracia wasn't at all happy, and a conversation with his captain took place outside the playing room, after which he came briefly back to the board, told me that he would not have claimed the game and left without signing his scoresheet. Which left me shrugging my shoulders, saying "¿qué podría hacer?" ("what could I do?") and feeling uncomfortable. It always leaves a bad taste in the mouth when a game is decided by the disqualification of one of the parties. It's always an uncomfortable situation. But it shouldn't be. It should and could be done in a straightforward manner and accepted by all parties. There are rules laid down: everybody is used to them and knows what they are. There should be no problem. No controversy. One may, of course, let them pass - in casual and unimportant games. But in serious games it's unwise to do so. Life is difficult enough as it is without introducing unnecessary ambiguities. I'm a stickler for the rules, in that sense. 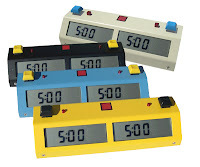 Games should start on time, moves should be recorded properly, all these sorts of things should apply as is set down. Not perfectly and not exactly. But they should apply: they shouldn't just be flouted, because if rules are ignored then nobody knows when or whether they should actually be applied. In general, if people know where they are, then the potential for controversy is reduced. If responsibilities are set out and understood, then the potential for ethical ambiguities is similarly lessened. Now I should reiterate that this was a match, in a team compeititon - and a crucial match at that. I therefore had, in my opinion, a responsibility to my team-mates to claim the game, just as I would have a responsibility not to play for a win where a draw was required. (Or, as it happens, just as I had had the responsibility the previous week not to play for a draw in an inferior endgame, because the team were a point down and mine was the last game to finish.) If I'd not taken the win - and we had gone on to lose the match and found ourselves relegated - that would have been my responsibility. I had no reasonable alternative. But that, in truth, is not my defence for claiming the game. My defence is that I shouldn't have to provide a defence. A game that is lost within the rules should be claimed within the rules without anybody making any fuss about it. It is a player's responsibility, to make sure his or her mobile is switched off before a game. It is a captain's responsibility, to ensure that their players are reminded of this. It is not the responsibility of the opponent to overlook it. There is nothing to talk about. Should one similarly overlook it if a piece is touched and then the player regrets it? Or if a flag falls? Of course not - and one is not expected to. We learn from our earliest days in chess that "touch-move" always applies and we learn from our earliest days in competitive chess that when the flag falls the game is over. These rules exist and are applied so that games take place in proper conditions. Nobody would ever attract adverse comment for insisting that they be enforced. I see no meaningful difference where the rules involving mobile phones are concerned. Another point. If a game is continued after one player could have claimed it, the conditions are not equal for both players. One player is in the position of having been able to claim a win: that will prey on their mind, just as it preys on your mind if you miss a win, or if you are offered a draw and do not take it. But the other player has nothing to lose: reprieved from their loss, they no longer have anything to worry about. The pressure is all on the innocent party. Therefore the player who broke the rules is in an advantageous position in relation to the player who did not. Is that not an absurd situation? Is it not precisely to avoid that situation that we have rules in the first place - and why we enforce them? I didn't much enjoy claiming a win in the circumstances that occurred on Saturday. I play chess to win, but I don't play just to win. But I would always claim the win in these circumstances, for the several reasons I have set out above. As I say, I am not setting out a defence, precisely because I believe no defence is necessary: this piece serves, perhaps, merely as a discussion of the issues, one that can be referred to in the future, if and when the situation recurs. But it is not a defence, because none is required. I would be angered by the suggestion that it were - and if anyone should tell me otherwise I will respond. Not with a defence, but by deploying a vocabulary that I have acquired in Spanish but will not reproduce on here. A week or so ago, we heard of Anand’s six move Petroff disaster from Biel, 1988. 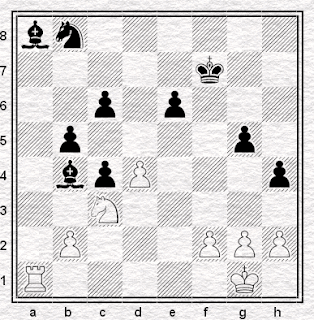 According to Cafferty and Hooper (A Complete Defence to P-K4 2nd Edition, 1979), once Tarrasch picked up his d-pawn Alapin assumed it would be moved the usual two squares forward and played his next move accordingly. “As a curiosity”, they said, “it may be quoted as the shortest decisive tournament game between masters”. We'll be hearing more about that in later posts. Wikipedia reckon Alapin was, “… one of the strongest players in Russia in the late 19th century”. 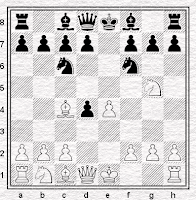 Not in Anand’s class, perhaps, but still pretty good to be losing in such fashion. Our results highlight how difficult it is to find an unambiguous association between intelligence and chess skill. When we tested the whole sample of children, some of whom had just recently started to play chess, we found a moderately positive correlation between intelligence and chess skill thus confirming some previous studies ... But when we examined the role of intelligence among highly skilled young chess players we found not only the same absence of the association between intelligence and chess skill that is usually reported among adult chess players ... but also that smarter children had actually achieved a lower level of chess skill. It's not exactly the same as saying the more stupid you are, the better you are at chess - I hope. Anyhow. The article is chocabloc with such interesting, often counter-intuitive stuff ("visuo-spatial ability ... was arguably the worst predictor of chess skill among all other abilities we used in this study ... we believe that the common view of the great importance of visuo-spatial ability is a myth" and "Holding (1985) speculated, on the grounds of the observation that many remarkable chess players were journalists and that there was no evidence that visuo-spatial ability is connected with successful chess playing, that verbal ability is more important for chess than visuo-spatial ability" particularly intrigued me) and well worth a read. Note. The PDF of this article available via the above link is actually a close-to-final draft. The original is available via Science Direct, but will cost you. The copyright publishers insist on does not apply to drafts of academic articles - hence many academics get around this problem by providing a draft on-line, often only with one or two differences from the finished product: a missing comma or two, that kind of thing. "On the 22nd of April I am going to do something crazy," emails Streatham & Brixton ace and the world's 21,702nd best chess player Rob Thomas. "I am taking my 'svelte' body on a 26 mile jaunt around our Capital City, passing many famous landmarks along the way and have even arranged a small crowd to cheer me on. "Of course this insane undertaking is the London Marathon and I am actually running on behalf of a very good cause. My sponsored charity, Hact (Housing Associations' Charitable Trust), helps those far less fortunate than us find a place to live. They are pioneers in housing solutions for people on the margins, identifying emerging need, and then develop, test and promote practical solutions for social inclusion. "I invite you all to check out my sponsorship page and hope you will be able to contribute something towards this good cause. Your help will also encourage and motivate me as the training runs keep on getting longer and longer!" To fund his Brazilian sojourn, he told his family he had fallen ill and needed them to wire out money to pay for medical expenses. He even sold his laptop computer, which contained all his chess notes and training programs. A long time ago, I was young and wild: as a junior, at an away match for Cosham against Fareham, I once in the bar after asked for a Shandy. Of course I was told no, and got the lemonade instead. But - you've got to dare to live the dream. Labour politician Nigel Griffiths resigned from the government earlier this week , in protest against the policy to renew Trident. My eye was caught by a profile which described him as "a proficient chess player". It seems he's played Kasparov at some stage, although what exactly he meant by, "I barely survived one round with the world chess champion", I'm not entirely sure. Gazza played a simul against MPs a while back. I wonder if he's referring to that. Now, individual members of the government are not universally regarded as being completely unwilling to sacrifice long held principles for short term political gain - so I'm pondering whether chess players are simply all-round better eggs than non-chess players ... or whether perhaps we shouldn't be too harsh on Labouristas after all. Some changes are afoot in chess time limits, it seems. 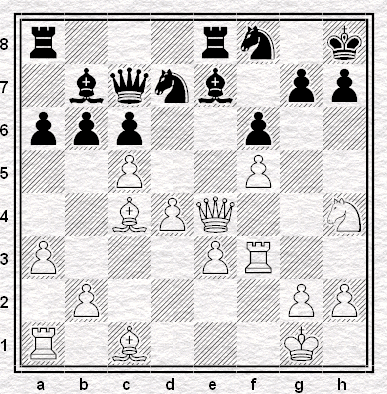 - reports John Saunders (editor of the British Chess Magazine.) Click here for the whole thing. Personally, I think I'm in favour of this. I get very bored during longer games, and it would enable London weekend tournaments (even perhaps one day tournaments) to be FIDE rated. On the other hand, John's multiple criticisms seem hard to argue with.
" ... this is a competition with a difference. 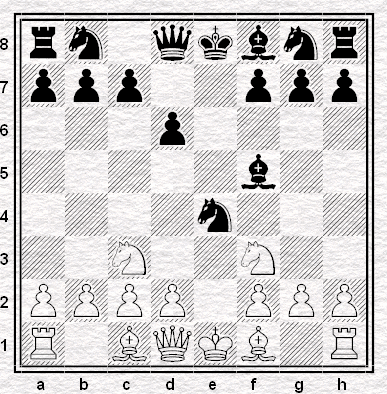 You can rule out a forced checkmate, or a clever tactic to win a piece. 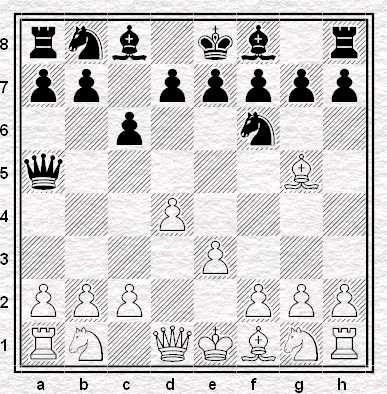 In this position we are asking you to devise a plan for Black, just as you would in a normal game of chess. This is a test of your creativity. You should justify your idea with words and a couple of variations. A tip: quality will win out over quantity - in other words, reams of computer analysis will not impress the judges. Send your entry to chess@guardian.co.uk by Monday 19 March. The most convincing answer will win a copy of the newly published Revolution in the 70s by Garry Kasparov ... The winner will be announced on Monday March 26." Looks like a position from an Advance French to me. "Attack d4 as much as possible. If you can't do that any more aim for ...f6." I was confused by some of the verbs that chess books use, until I realised that unlike English, where Black and White are singular, the colours are used in a plural form: las blancas y las negras. (That's another source of confusion: B, which for thirty-five years has indicated that I have the Black pieces, now means White.) So now, rather than White resigns, third person singular, las blancas se rindieron, third person plural (and a reflexive and irregular verb). 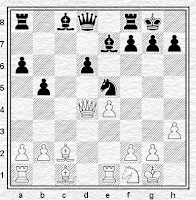 Las blancas se han rendido demasiados veces, when I have had the white pieces this season. Paradoxically, when you're trying to read a foreign language, it's not the words you don't know that are the problem - you can look them up. It's when you know all the words in a sentence and still don't understand. What, for instance, did la calidad mean in a chess book? I knew that calidad means quality (I often use the word when referring to the service we don't get from Madrid book distributors) but what did it mean here? Eventually I realised that la calidad is what is said in Spanish when, in English, we say the exchange. Rook for bishop. Rook for knight. It's a strange word to choose - in either language. Indeed, I'm sure I can remember being just as puzzled when I first came across the English word, possibly when reading My Sixty Memorable Games or one of the other books that I read a million times when I was a kid. The exchange. Why? Why does that particuarly denote rook for minor piece? Even now, thinking about it, I don't know why they chose that word. Nor do I know who chose it, or when they did so, or what people used to say beforehand. I've had a short trawl of the internet for assistance, but Wikipedia has nothing to add and neither does Chess History. It's possible the Shorter Oxford Dictionary would tell me what I want to know - or some of it - but most readers of this blog are probably rather closer to such a dictionary than am I. So, two questions. First, I'd like to know what terms other languages use for the transaction. I know Spanish and English - what do the French say, the Germans, the Russians, everybody else? Second, I'd like to know the etymological history of the term in English. All accurate information gratefully received. Not good, in other words. Still, tomorrow is another day, and a healthy victory follows crushing defeat, sooner or later. How did Pagantintov playing white put Routilin playing black out of his misery, like a dose of industrial strength Paracetamol, in this one from Athens 1937? There's a older and more dramatic pre-arranged draw story than the one from yesterday. Initially it concerns a game played between Tony Miles and Larry Christiansen at San Francisco in 1987, which game had, informally, been agreed drawn in advance. It opened with the moves 1.e4 e5 2.Nf3 Nf6 3.Nxe5 d6 4.Nf3 Nxe4 5.Nc3 and now Christiansen produced an apparent theoretical novelty with 5...Bf5 reaching the position in the diagram above. It certainly seemed to do the job as the game continued 6.Nxe4 Bxe4 7.d3 Bg6 8.Bg5 Be7 9.Bxe7 Qxe7 with the sort of sterile equality one does not associate with Robin Haldane's open games and the draw was agreed on move twenty. There is, however, something terribly wrong with this sequence which, apparently, Miles saw and indicated to Christiansen with a hand movement before making another move on the board - since the draw had already been agreed he couldn't reasonably take the win that was there. Hand movements, however, are not recorded in Informator (nor are informal draw agreements, though it would be possible to think up an amusing symbol by which they could be indicated) and the innovation greatly impressed the young Viswanathan Anand. He therefore tried it out in the tournament at Biel the following year. His opponent, one Alonso Zapata, proceeded to inflict what may be the fastest defeat ever suffered by an player of that calibre. 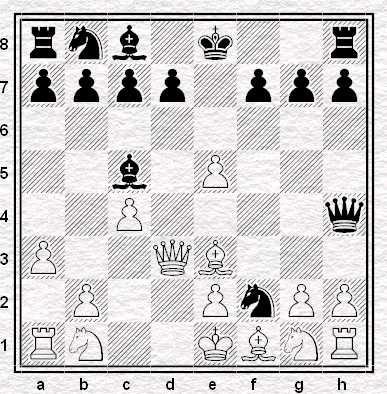 Take care (as Anand did not) and spot the win before you play through the games. Even more remarkably, two of these eleven games have been won by Black. 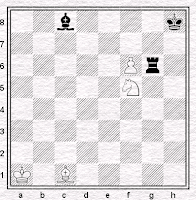 White to play - how did the game go? The answer to yesterday's puzzle: the game is Cafolla - S. Williams, Bunratty 2007. My source is the daily chess newspaper Chess Today for Saturday 3 March. Clearly there a couple of easy wins for White here but White chose to play instead 11.h3 Bxf3 12.Bxf3 Nf8 and then agree a draw (although of course the win is still available). The explanation according to Chess Today is that they wished to watch the rugby union international between Ireland and England. Bizarre. I mean I could understand if it had been rugby league. White to play - how should the game go? White has just played 22.Ra1. 28. 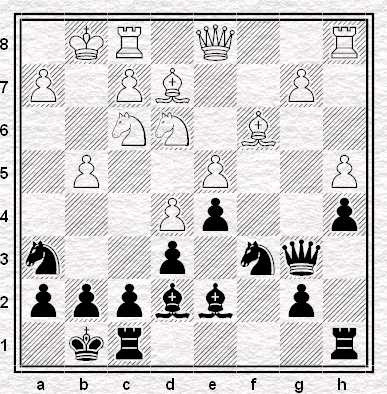 Ra6 The point of the check on move 27! 28... b4 29. Rxc6+ Ke5 30. Kf1 c3 31. 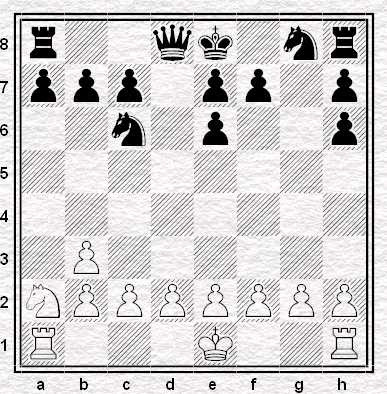 Ke2 Kd4 and it seems that White is just one tempo too late to win this position. For example, 32. h3 (or 32. g3 hxg3 33. fxg3 b3 34. Kd1 Kd3 35. Kc1 g4!) 32... b3 33. Kd1 Kd3 34. 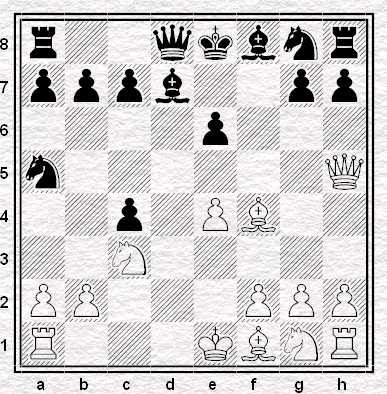 Kc1 d4 and White could not get a passed pawn on the K-side for free: 35. Rd6 (35. g3?? failed to 35... g4!-+ and Black wins!) 35... Kc4 36. Rd8 d3 37. g4 b2+ 38. Kb1 d2 39. Kc2 Kc5= and White can't make any progress! No mention of 22...c5, which was the choice of everybody in our comments box: whether this analysis is open to question, it would be interesting to know (as it would to know what check supposedly took place on move 27 - I assume Scherbakov means 24). However, in the actual game, seeing none of this, but realising that his white-squared bishop was doomed, Black resigned. The tragedy of the game is in the grades of the respective players. Bellon Lopez, rated 2438, is a Spanish grandmaster, but Black is rated only 2090: lower than the present writer, who has never managed so much as a draw against a GM (although I missed a draw against one at Benasque last year). How many chances does a player of my strength get? But there it was, in his hand - and he missed it. This Thursday the Streatham & Brixton second team are heading off to play Metropolitan 3. Hopefully we'll get revenge for our recent loss to their second team. Metropolitan’s venue, just off Middlesex Street in East London, is an interesting location for students of criminology. Modern geographical profiling techniques suggest Jack the Ripper may have lived (or at least had a base to which he could return) in that very road. The juxtaposition of chess, the ultimate impenetrable game, and a location associated with the definitive unsolvable murder mystery seems very appropriate somehow. Fictional detectives are often portrayed as having a keen interest in chess. I’m not sure why exactly. Perhaps it’s seen as a shorthand way of implying a logical or analytical mind. Years ago I found Raymond Smullyan’s “The Chess Mysteries of Sherlock Holmes” in some second hand book shop or other. It’s a collection of problems that require retrograde analysis to find the solution. Retrograde analysis is simply the art of working backwards on the chessboard – and thus Smullyan’s book is unique (as far as I know) in creating a true parallel between our game and amateur sleuthing. On what square was the White Queen captured? You’ll need to provide proof of course. This is crime scene analysis after all. Yesterday we pondered the nature of chess. In Playing to Win, Plaskett considers whether chess might be art, science or sport or perhaps some combination of all three. In fact, science and art are dismissed fairly swiftly. In the case of the former, chess is considered too trivial to qualify. As far as the players who claim to be artists go... well Plaskett cites the inherent competitive nature of the game and suggests any artistic value occurs as a secondary outcome. He also points to the low proportion of any games that might qualify as artistic. Plaskett gives sport more consideration. Although he rejects the traditional arguments against chess being considered a sport (insufficiently competitive or physical) ultimately he too comes down against the notion of chess as sport. 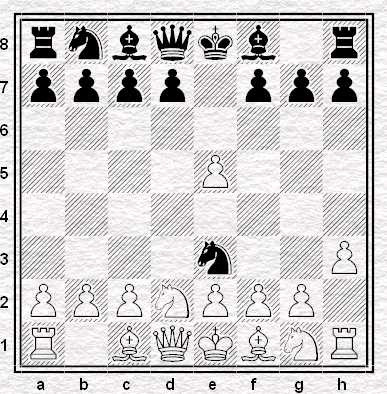 For Plaskett, the growing importance of opening theory (and remember he was writing in the late 1980s prior to ubiquitous use of computers) negates any claims for chess as sport. His argument is roughly as follows. One side, particularly if they have a "Decisive Opening Innovation" up their sleeve, may start with a theoretical advantage that means the other player is not taking part in an equal contest. According to Plaskett, this is different to the technical advantages possessed by certain teams in Yachting or Formula 1 although I have to confess the reasons why this should be so escape me. In any event, the argument runs, because chess doesn't always start as a fair fight it can't be considered a sport. I wonder how Plaskett’s views have changed over the past 20 years. In particular, what does he make of the idea of “mind sport” or this petition? Recently we were wondering whether Chess was a sport. All chess events are different, especially in and around London. There's nothing for instance quite like the Chessabit blitzes - under 175s only, one day of eight rapid games, and great prizes. The prize for outright first being £500 no less. Perhaps, there's nothing quite like chessabit anywhere else on the globe in fact, since the other side of the world apparently has nothing comparable. And the good news is, Chessabit's next event is tomorrow. Click on the first link above to find all the details you need. It's not too late to enter. At the opposite end of the spectrum, how about a FIDE-rated, eight round four day tournament in Surrey over Easter? That's some serious, serious chess. I need to check my diary - but boy is there experience and deep competition on offer there. And of course there are always events in-betwen. The Herts Congress for instance - or how about the 70th (!) Richmond Rapid the weekend after this one? The LJs coffee shop there (pictured) certainly looks pretty unique to me. But if you're not convinced, here are more pictures from these events. You know, London players might find some more familiar faces there in that last link . . . The format of the Stoneleigh Trophy encourages chess violence: Two teams of four players face other twice in one evening - once with black, once with white - and in each game the time limit is half an hour each. And so it proved on Monday night, when a Streatham & Brixton Chess Club team faced Crystal Palace down at their venue on the edge of London. The final score was 5-3 to us, with only two games drawn out of the eight. Hero of the evening was Martin on board 2, who scored 100% against Anthony Andrews - an opponent who has a rapid ECF of 178, no less. Martin's second game with black was particularly exciting to watch from the neighbouring board. "I suspect my opponent smelt the blood of revenge after 9 e6 and 10 Ng5, and I got a strong whiff of it too!" emails Martin in retrospect, and indeed with his King 'developed' on c6 things looked rather tricky. But at this speed limit, the tables can turn at the drop of a hat. Here's the game.